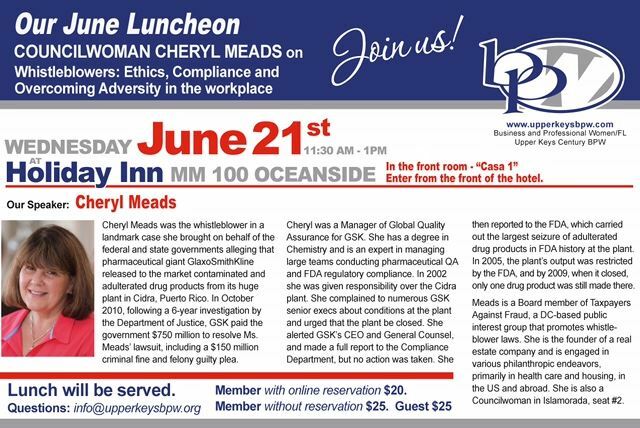 Join your Upper Keys BPW for lunch on Wednesday, June 21. Our speaker this month is Cheryl Meads, Islamorada Village Councilwoman. Hear her fascinating story! Members can register on-line and save money, $20 on-line and $25 at the door!